Did you know that oral cancer kills about one person per hour in the United States? 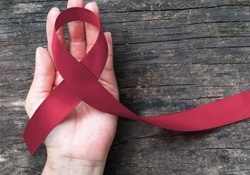 Close to 50,000 individuals are diagnosed with this devastating disease each year, and long-term survival is often closely associated with early diagnosis and treatment. That is why we encourage all of our patients to visit us for regular oral cancer screenings. Experts recommend that all adults get screened for oral cancer at least once a year. Many people think that only individuals who smoke or chew tobacco need to be worried about this disease, and it is true that such people are at a greater risk. Those who drink heavily, older individuals, and those who have spent a lot of time in the sun may also be more likely to develop oral cancer. However, no one is exempt from the need for regular screenings. Anyone can develop oral cancer, regardless of their lifestyle or other risk factors. In recent years, more and more younger people have been developing oral cancer. The trend is partly due to the prevalence of the human papilloma virus (HPV). It is the most common sexually transmitted disease, and most people aren’t even aware that they have it. Certain types of HPV have been linked with the onset of oral cancer. If we suspect that you have oral cancer, we’ll recommend that you visit your primary care doctor, who can arrange for you to undergo a biopsy or other diagnostic tests. 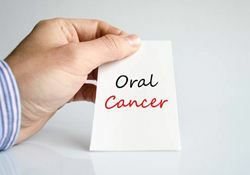 For patients who get diagnosed with oral cancer, the treatment depends on the exact nature of the condition and how far it has spread in the body. Sometimes, a surgery is all that is needed to remove the cancer. In other cases, multiple surgeries, along with chemotherapy and radiation, form part of the treatment plan. Sadly, the treatment for oral cancer sometimes has serious consequences for the way the mouth, throat, and teeth work. Our team may be able to work alongside other experts to restore dental function and help patients get back to enjoying a full and healthy life. Is it time for your next oral cancer screening? Contact us today to schedule a checkup.